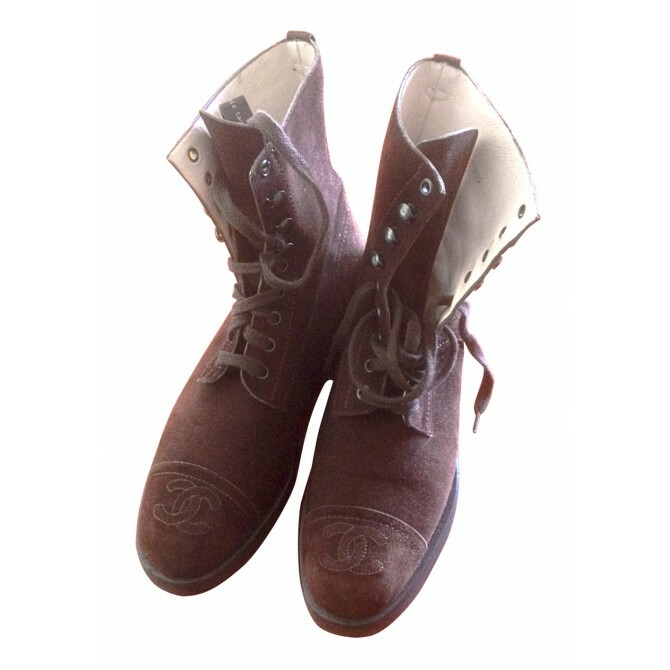 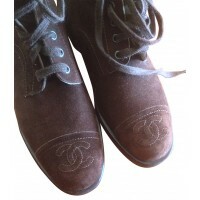 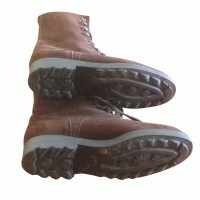 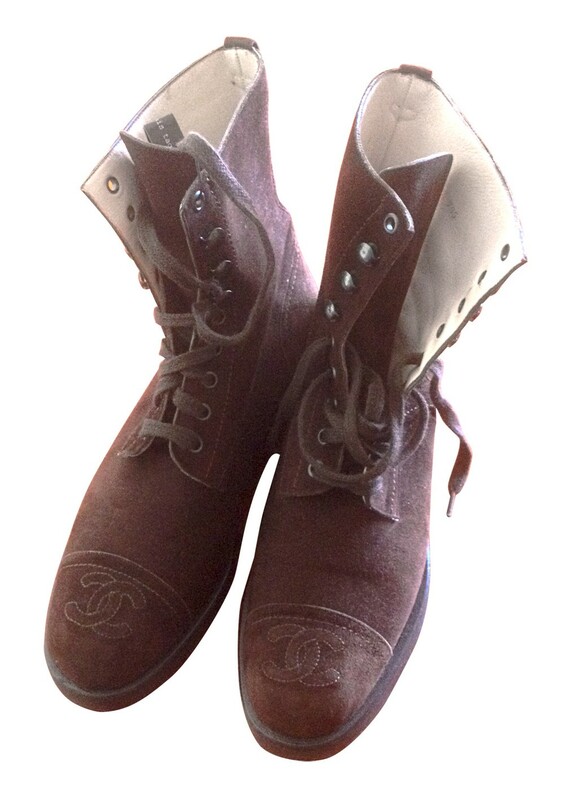 CHANEL boots , lace ups , in excellent condition. 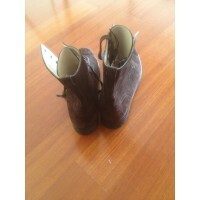 Used a few times , no signs or defects. 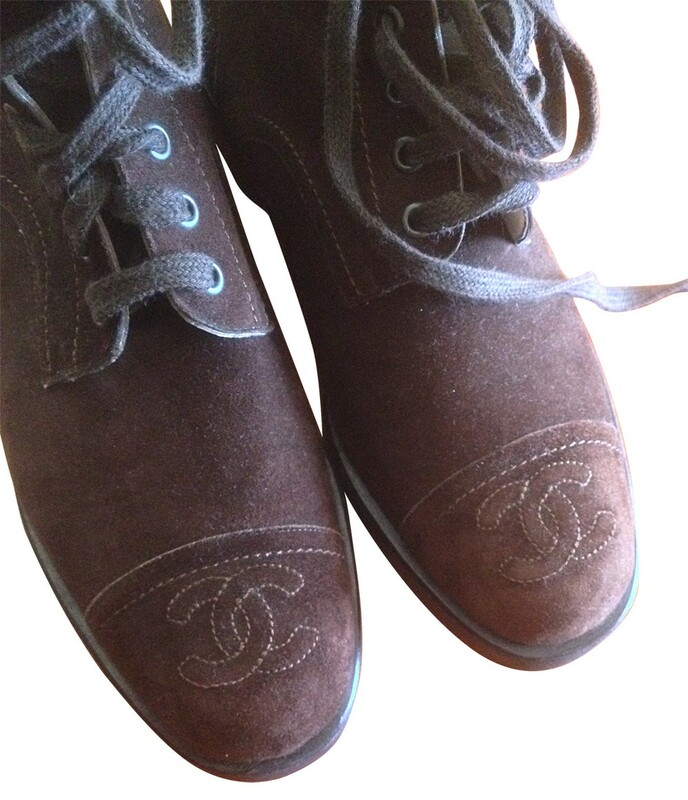 Chanel logo on each toe. 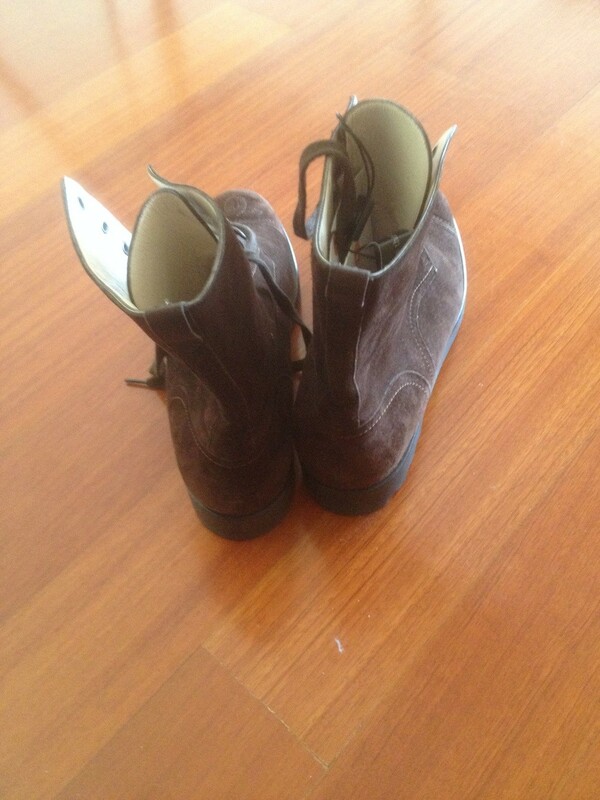 Size 40 1/2 , true to size.